Danny Lovato stands on The ASK Academy stairs. Behind him is the scene of the balloon crash that happened a year ago today, causing him to lose his left arm. — One year ago today, Daniel Lovato and his longtime friend Mark Kilgore launched from the early morning mass ascension in Kilgore’s balloon, New Mexico Sunrise 2. It was a routine flight, one they had been doing together for the past 10 years. As the balloon floated north toward The ASK Academy, nothing seemed awry, and Lovato and Kilgore thought they would miss the power lines at the intersection of Meadowlark and Sara road. However, before they had a chance to react, the balloon collided with the power lines. Lovato instinctively reached out and grabbed the telephone wire, and as the gondola came in to contact with the bottom line, the envelope fell into the top wire, completing the circuit. The shock traveled through Lovato’s arm, passed through his body and exited out his backside. He was knocked unconscious, he doesn’t remember the gondola catching fire, the balloon landing, or anything else. Three weeks later when he woke up, Lovato was told that he had lost his left arm. 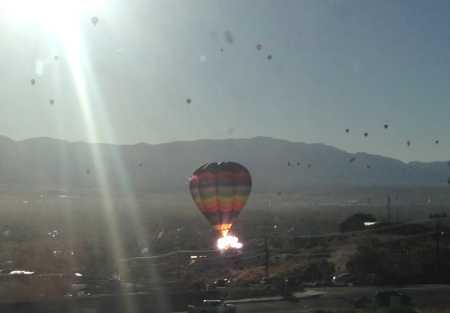 The balloon crash was caught on camera by ASK scholar Gregory Abernathy. When he first learned he had lost his arm, he had a breakdown. But one night, when he was alone in his hospital bed, flipping through channels on the television, he came across a skit by comedian Jeff Dunham. “For two hours I watched him, and I laughed and I cried. After that night, nothing has bothered me,” he said. Now, he said he views living with one arm as a daily adventure. Simple tasks, such as opening a twist off bottle has become a challenge to him. He said his wife wants to take on the little endeavors for him. “She would see me struggling and want to help me,” he said. “But I would say ‘no, let me do it.’” He quickly learned that if he wanted to gain his independence back, he would need to learn the skills himself. As of now, he is doing just fine without a prosthetic arm. He has several more surgeries and skin grafts to go, and then his doctor recommended a new robotic arm called The DEKA Arm . Lovato is not completely sold on the idea. “I think it would just get in my way,” he said. Lovato has been to several balloon rallies since the crash, but has yet to go up in the air. The sights and sounds of the balloon still give him anxiety, and he doesn’t know if he will ever fly again. 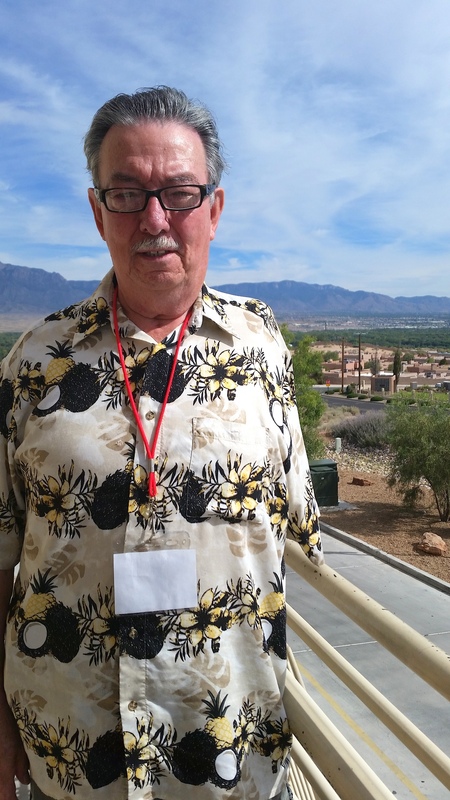 However, he said he would love to take one last ride in The Phoenix to “finish that chapter of my life.” The Civil Air Patrol is trying to make that happen for him. Last year’s crash and losing an arm is not the first time Lovato has seen tragedy. His son was diagnosed with leukemia at the age of 12, he has had a suicide in his immediate family, and his wife is a breast cancer survivor who was recently diagnosed with stage 4 lung cancer. Despite these moments, Lovato has an incredible attitude about life, and said he always sees the cup as half full. He leans on his church and family to remain optimistic, and he spends his time helping amputees and burn victims cope with the emotional toll of their injuries. He said that “everyone has snakes in their head” and that he wants to help people get rid of them. Lavato’s look on life has inspired me to handle my health and life situations in a completely different way. This article has shed more light on the accident.I learned important information that wasn’t initially shared. the article was grate, although it was sad to here about his struggle with one arm.